All the effective leaders I have encountered – both those I worked with and those I merely watched, knew four simple things: a leader is someone who has followers; popularity is not leadership, results are; leaders are highly visible, they set examples; leadership is not rank, privilege, titles or money, it is responsibility. More than 50 years after the Independence of most African states, the continent remains bedevilled by many challenges, as it struggles to charter a fair, equitable and sustainable development course to enable it to guarantee prosperity for its citizens. Prominent among these is Leadership. Leadership is particularly critical to the fortunes of any entity, because it not only shapes culture, but also determines the allocation of scarce resources, that in the end has serious implications on the collective fortunes of a people. And so when I early this year applied, and was lucky to be selected to be part of the LeO Africa Institute’s inaugural class of its flagship Leadership program – The Young & Emerging Leaders’ Project (YELP), I was particularly elated because I looked forward to answering a question I have long grappled with – how to be a better leader in my own society. As an educated young woman, I occupy a privileged position in society, which I need to recognize and meaningfully utilize by positively impacting others. Successful leaders are those who know their strengths, take charge of their superpower and leverage it to the overall betterment of those they lead , while appreciating their weaknesses and working on fixing them. For them, rather than underwhelm them, Failure is a motivation to do better. Transformational leaders are primarily concerned with positively changing their societies and build teams and systems to outlive them and help achieve their mission, while micro-managers are obsessed with self and individual power, undermining their subordinates’ enterprise – a recipe for failure in the long term. Finally, leadership is consequential if can build lasting relationships, identify and nurture talent, motivate creativity and innovation, inspire positivity & raise the human spirit, while breeding trust and enhancing productivity among team members. This knowledge, and the values therein are critical to the realization of YELP’ core mission – to raise a generation of socially conscious, responsible and accountable leaders that can individually and collectively transform their societies for the better. It’s a mission we should all help advance. 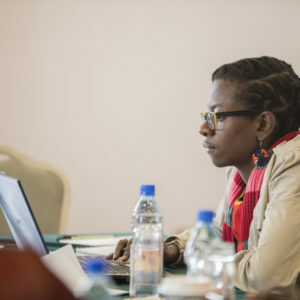 Patricia Kahill Kuteesa is the founder of Kahill insights.